Spectacular glaciers, picturesque fiords, rugged mountains, vast plains, rolling hillsides, subtropical forest, volcanic plateau, miles of coastline with gorgeous sandy beaches – it’s all here. Wellington is the capital city and the surrounding coastal regions offer exceptional fishing throughout the year. This coast is as rugged and wild as you get. Fishing from either a boat or land will be best described as incredible. 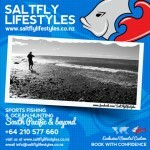 The possibilities are endless as salt water fly fishing is still very much a novelty type of sport fishing and areas around this coast has probably never seen a salt fly nor salt fly fisherman before. These areas include to the west Kapiti coast, Wellington Southern coast and the Wairarapa east of Wellington. Further north is the warmer waters where in summer striped marlin and numerous game fish come to play. Auckland is the major port and fishing is possible with minutes from the city center. 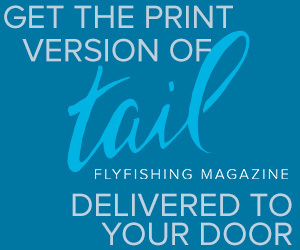 Directly north from Blenheim is the remote Marlborough Sounds offering a vast variety of coastline with bountiful fish species including the mighty Yellowtail Kingfish, Tuna and Sharks, these being a favorite for most fly addicts. Sharks are certainly on the top of the apex predatory list creating the most favored sporting target for many. Yellowtail Kingfish and Tuna is another couple of sought after fish not only for their sporting abilities but also eating. Next would surely be the XOS snapper and trevally which makes their abundance clear during the summer months and sight casting to these fish for any angler is the pinnacle of the sport. The fishing opportunities within the Marlborough Sounds are not bound to inshore waters but also open to the world renowned Cook Straight separating the North and South Island, with the deep holes and a strong tidal flow creating a nutrient rich marine environment that sustains our fishery. In summer the Kahawai, Baracouta, aka ‘cook straight sailfish’ presents itself in plague proportions which in turn give us sport fisherman endless hours of fun when targeted. Adventures into the sounds would be directed to where the best possibly fishing would be according to the weather conditions. 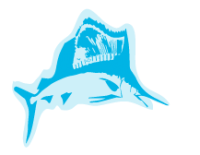 Some of the locations offered for anglers are Tory Channel, Queen Charlotte Sound gateway to Northern entrance, Pelorus Sound, French Pass and D’urville Island. The top of D’urville Island has the Stephens Passage a well known area for trophy Kingfish up to 75 pounds (~35kg). The east coast from Port Underwood to Kaikoura must be some of the most under fished areas close to civilization, a hidden gem some would call it. Here the marine environment is a must see for anybody that can swim when visiting. Huge crayfish, abalone and fish roam the rocky inner shores, great for a land based anglers looking for some sports. Further out to sea the continental shelf drops away 1:1 meaning a mere kilometer from the shore is1000 meters deep. While not amenable to fly fishing this does mean throughout the year fishing for big oceanic Shark, Tuna and deep bottom dwellers like sea Bass, Groper and Bluenose for the non fly thrower or when the weather allows you to get far and wide. Cape Farewell Spit is to the north-west and hosts yet other exciting and prosperous fishing challenges; Collingwood is the settlement where trips will be based from, with its laid back vibe here it’s a must see place especially when visiting the light house at the end of the Spit. The Spit is home to vast variety of birds and seals which colonized there, a wonderful experience in itself just to see this remarkably remote marine sanctuary. Makos are common throughout New Zealand. They can be found year round and anywhere where there is reasonably warm water & food. They vary in size from the small 20-60 lb range (~10-30 kg) to the larger specimens of close to 1000 pounds (~450kg). While not a typical target they are normally hooked as by-catch by anglers trolling for billfish in the summer months off the Bay of Plenty & Northland coast. Thresher Sharks: Most world records for these unique sharks are from New Zealand waters, including the all tackle record fish of 364kg from Tutukaka. They are an open ocean shark and can be found throughout New Zealand coastal waters where the temperature is between 55 & 70 degress Farenheit (12-20 degrees Celcius) but can also be found around schools of baitfish holding close to a reef, offshore pinnacle or island. Poppers, Great pumpkin or any other large noisy fly that will get their attention.